In this section you will find information in relation to changes to our membership structure, your obligations as a member of the club and details of the relevant fees. The club is a member of Triathlon Victoria (previously known as an affiliation) for the 2017/2018 season. This membership provides the club with a number of benefits, the most important of which is the ability to continue to run our highly successful sanctioned race series. The rules and regulations around club membership with Triathlon Victoria (TV) have changed. Individual members of a club are now required to be TV members. Club members pay a discounted rate for their TV membership. TV members, by default, also become members of Triathlon Australia (TA). The club membership year runs from 1st July – 30th June each year. We have adopted the new membership registration portal being operated by Triathlon Australia. The new portal, Active Works, allows members to join/renew WSTC and Triathlon Victoria memberships at the same time. In this 1st year of operation members cannot renew their existing membership, they must start a new membership application. Once registered all members will automatically receive a club membership number. In order to receive your discounted race entry fee this new number must be used for entering any club races post 1/7/14. A membership card with both your club membership number and TV membership number will follow in the mail. This membership card will need to be presented at all club endorsed training sessions to ensure all participants are covered for insurance purposes. A copy of your membership receipts can be used pending receipt of your membership card. It is a requirement for each member to be present for at least one WSTC event during the season in a non-participatory role as a volunteer. Club members will be given an opportunity, as and where possible, to nominate which event they will volunteer at. Where no preference is offered or the preferred event is already served with the appropriate number of volunteers an event will be nominated for you through a volunteer roster. Note that while you will be responsible for the volunteer duties (such as marshalling during the event) you do not have to do it yourself. A friend or family member can substitute for you and hence fulfil your obligations to volunteer. We are sure you will recognise the need for this compulsory volunteering system. Whilst the club is blessed in many regards, e.g. membership, finances etc we always need actual race-day support. There will be clear roles and instructions that will make it very easy for anyone to assist. The volunteer roster is located on the front page of the website. Of course, there are other ways to support your club and special consideration will be given to members who assist the club in other ways, regular race day activities such as timing, or active participation on the committee, for example – and we invite you to do this if you can as we are always in need of additional support. In order to join the club you must join Triathlon Victoria/Australia first. When you click on the link above you will be taken to the TA website to join as a member. As you proceed through the application you will be prompted to select your club. 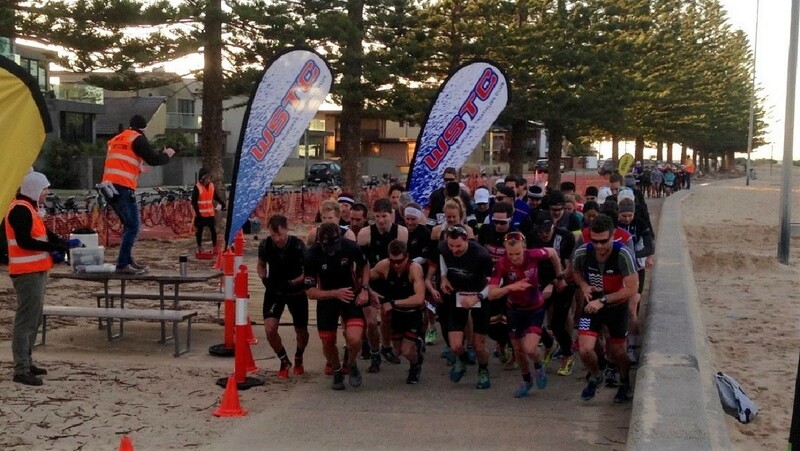 Select Western Suburbs Triathlon Club and our club membership packages will be made available to you. Please note it is possible to be a member of more than one Triathlon Vic Member (affiliated) Club. For example you maybe a WSTC member but also a member of another Triathlon Club or even a training group who is registered with TV/TA as a club. Please contact Triathlon Victoria if you have any queries in relation to this. We thank you for your support of this great club of ours. If you have any concerns or questions about membership please feel free to contact the club, either via, Jill Stevenson sbr4premmies@gmail.com or admin@wstc.org.au.